Bankruptcy fraud does not receive a lot of attention. For one thing, few people commit fraud. They don’t have any large assets, so there is nothing to hide. 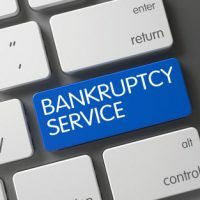 For another, many debtors work with a seasoned bankruptcy attorney, like those from Nowack & Olson, who will carefully survey their assets and debts to make sure they report everything properly on the correct forms. However, some debtors attempt to hide assets to keep the trustee from selling them. They do not carelessly forget to report certain assets. Instead, they intentionally underreport assets so that they can gain financial advantage. A recent bankruptcy involving Florida attorney, Peter Herman, shows the consequences of this dishonesty. As reported by BizJournals, in 2012, Herman attempted to file for bankruptcy to wipe out $4.5 million in debts related to a failed development project. As part of his bankruptcy filing, Herman had to list his assets so that the Chapter 7 trustee could sell any non-exempt assets and use the proceeds to help partly pay back Herman’s unsecured creditors. Herman, however, failed to disclose certain money he was about to receive for the work that he did on two cases as an attorney. In particular, he won a $20 million intellectual property dispute with Home Depot for his client. He also had another large win against Security Mutual Life Insurance. In all, Herman’s firm was scheduled to receive a $10 million fee for these wins. Nevertheless, Herman did not know exactly how much of that fee he would personally receive, so his bankruptcy attorney told him not to report it. Ultimately, Herman received $2.7 million out of the $10 million fee. Although Herman ultimately disclosed the fee, the bankruptcy judge found that Herman acted with the intent to defraud, delay, or hinder his creditors. The end result? Herman could not go through bankruptcy, so he was unable to discharge any debts. Being denied bankruptcy was bad enough. But something even worse was on the horizon for Herman, a lawyer—an ethics complaint. Florida attorneys are licensed by the state, and their licenses can be suspended for unethical behavior. In November, a court referee recommended that Herman be suspended from practicing law for 18 months for failing to disclose the assets in his bankruptcy. All professionals with state licenses need to be careful when filing for bankruptcy. You do not want to do anything that would cast a shadow on your integrity, such as failing to report assets. And although Herman’s bankruptcy attorney tried to take the fall for his client, stating that he told Herman not to report the legal fees, it ultimately did not matter. The bankruptcy attorneys at Nowack & Olson have several decades of combined experience. We have handled relatively straightforward bankruptcies as well as those that present novel or unusual legal issues. By hiring us, you can be sure that you are receive top-shelf legal advice and protecting your reputation. To speak with us, please call 888-813-4737 to schedule a free initial consultation.